Few active adult communities in Central Florida are as effective at combining affordable housing with first-rate amenities as Cypress Lakes. Owned and managed by Blair Group – an award-winning developer of multiple 55+ communities in the state – Cypress Lakes offers a secure residential setting featuring lots of great amenities and plenty of structured activities for the residents to participate in seven days a week. In truth, Cypress Lakes isn’t just a place to live … it’s a lifestyle! Retirees from various walks of life call our 55+ community in Central FL home because it provides them the opportunity to stay active, have fun, and enjoy all the perks of being retired in the company of others of similar age. 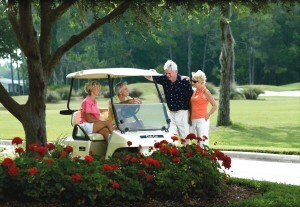 Residents of Cypress Lakes also have convenient access to two 18-hole golf courses right on site. One is a par 72, championship-caliber layout designed by Ron Garl, the other a Chip Powell-designed par 60 executive course that is perfect for anyone seeking a faster round of play. Contact our Lifestyle Team today for additional information about Cypress Lakes and why it has long been considered to be one of the top active adult communities in Central FL.